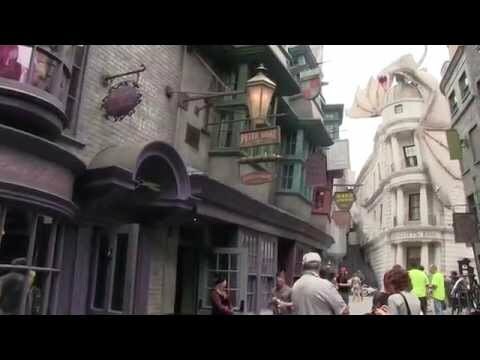 KHS&S performed the framing, drywall and themed stucco for The Wizarding World of Harry Potter Diagon Alley at Universal Studios Florida. The London-themed area replaces Universal's Jaws and Amity areas and connects to the original Wizarding World by a Hogwarts Express. It includes a major attraction based on Gringotts Wizarding Bank along with shops and a Harry Potter-themed restaurant.